This new farmers’ market in Marda Loop offers fresh produce, savoury and sweet pies, locally produced meats, takeaway meals and coffee topped with cool latte art. The new Marda Loop Mercantile is the latest addition to Calgary’s growing local farmers’ market scene. 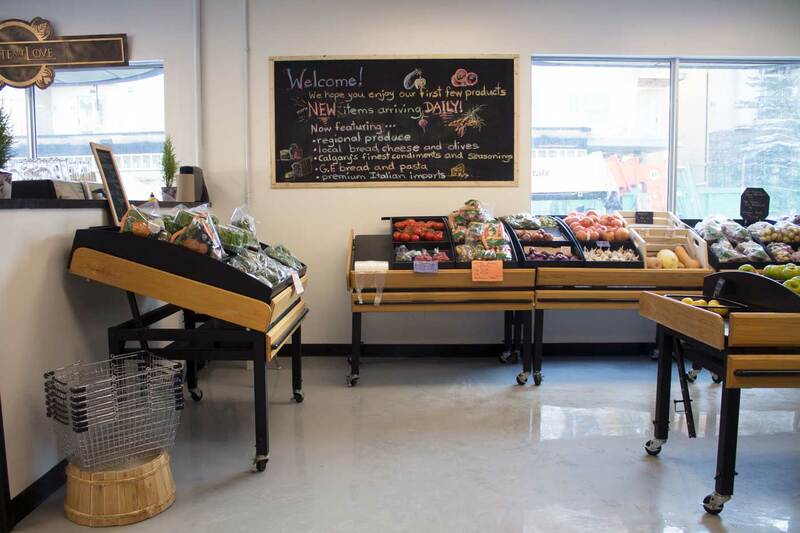 Last year, the owners of The Farmer’s House, Pie Cloud and Brant Lake Wagyu teamed up to transform the former home of Aqua Sport Scuba Centre into a 3,500-square-foot farmers’ market that opened in Marda Loop in late December 2018. All three of those businesses have a strong presence within the market. Brant Lake Wagyu carries different cuts of its own beef products, plus a selection of other locally produced protein from Alberta and B.C. At The Farmer’s House, guests can order breakfast, lunch and dinner dishes to eat right there or buy some of the prepared takeaway dishes for home. And, Pie Cloud offers freshly made savoury and sweet pies, which are available by the slice or whole. The market also has a mercantile area that features around 20 local food businesses. That’s where shoppers will find fresh produce, bread, sauces, granola, honey and more. 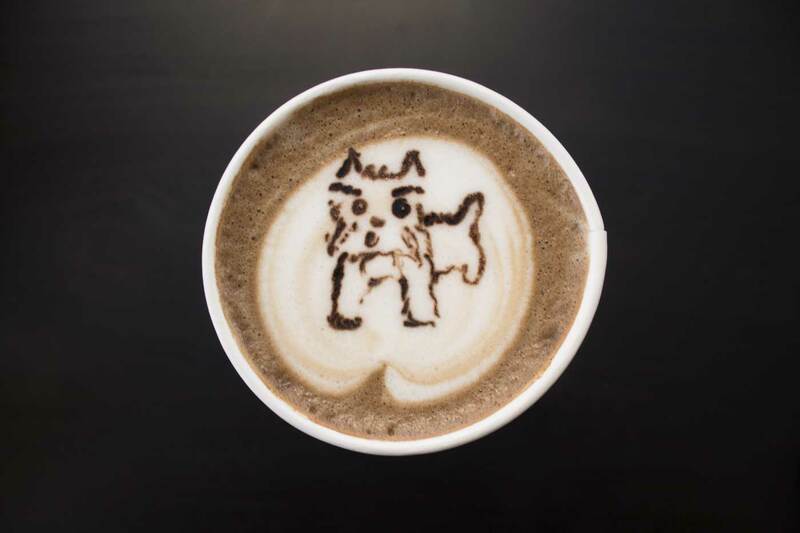 You can also get an artfully decorated cup of coffee and a locally made pastry at Latte Art Love. 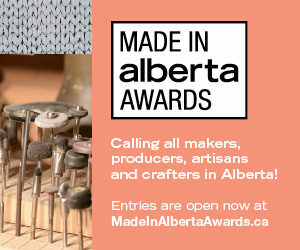 The Marda Loop Mercantile is open Wednesdays to Sundays from 10 a.m. to 6 p.m. The market carries plenty of fresh produce, including tomatoes, carrots, herbs, potatoes, lettuce, peppers, apples and more. Along with fresh produce, the Mercantile has a selection of food products that are largely from Alberta. 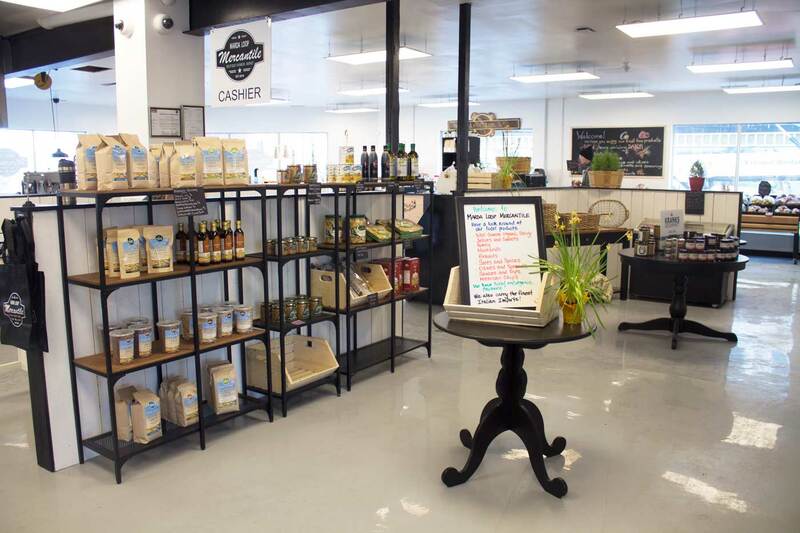 There’s bread from Sidewalk Citizen and Corbeaux Bakery, gluten-free bread and buns from Care Bakery, Kranks gourmet jellies, Forever Bee honey, Chimmi’s sauces, Highwood Crossing products, Salt Cellar salts and more. 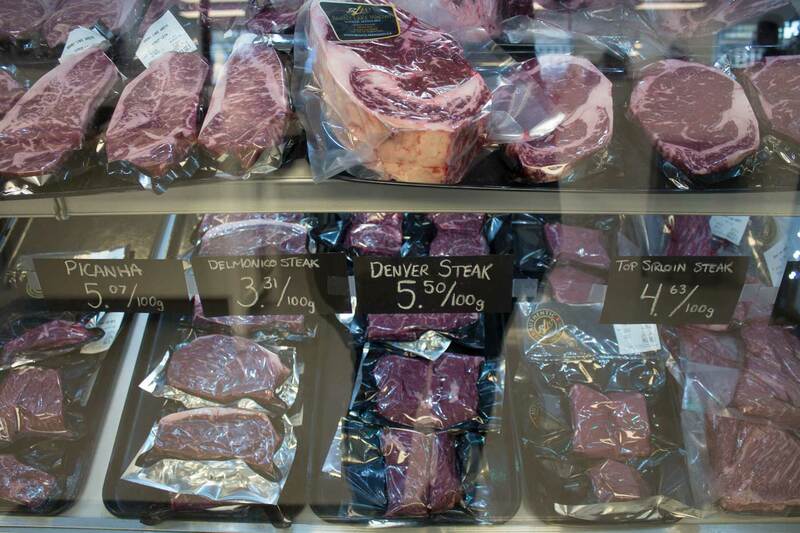 Those who used to get their fill of Brant Lake Wagyu beef products at Market on Macleod can now find them at the Marda Loop Mercantile. Their beef comes in classic cuts like striploin and ribeye steak and more unique cuts like Denver steaks and picanha. They also carry eggs from Maple Hill Farms, chicken from Bowden Farms and pork products from 4K Farms. The Farmer’s House used to be a restaurant in Marda Loop before it moved to Market on Macleod and now the Marda Loop Mercantile. Those dining at the Mercantile can try some of owner Margaret Hope’s breakfast, lunch and dinner dishes with a beer, glass of wine or cocktail. The Farmer’s House also has a display case full of takeaway meals. 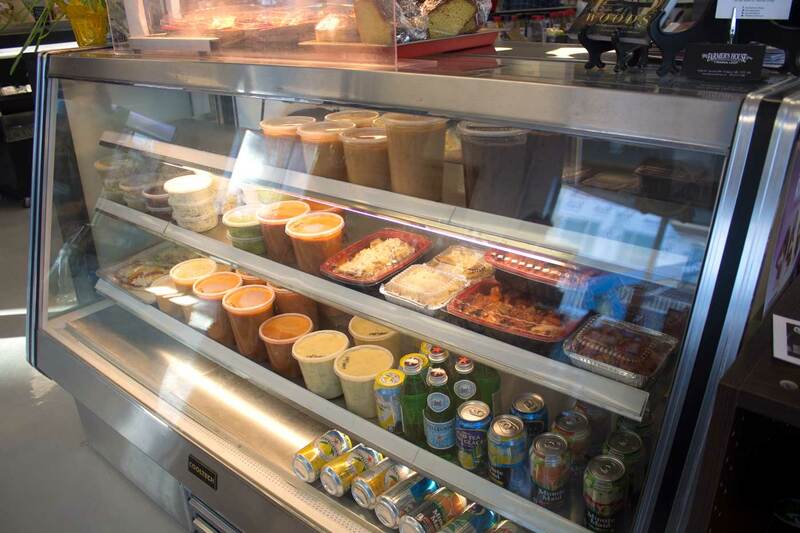 The selection changes regularly, but can include soups, roast chickens and flatbreads you can cook at home. 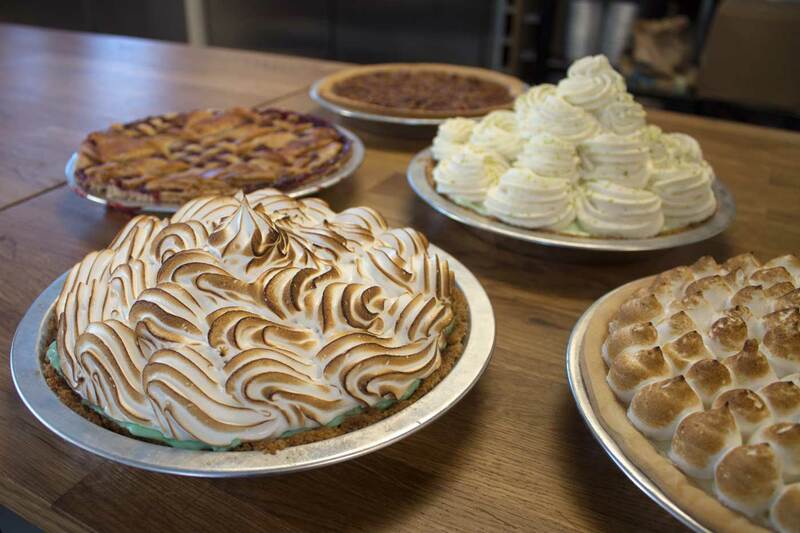 Before co-founding the Marda Loop Mercantile, Pie Cloud offered its tasty pies at its Kensington storefront and then later at Market on Macleod. There are savoury flavours like seafood chowder pie, turkey dinner pie and mac ‘n’ cheese pies with bacon lattices, as well as sweet flavours like pecan, strawberry raspberry, lime, lemon meringue and the shop’s popular original flavour marshmallow mermaid. You can purchase whole pies or just a slice. You may have seen Latte Art Love as an espresso bar pop-up at local events before. But now, they also have a home base at the Mercantile. They use coffee beans from Chronicles Specialty Coffee Roasters and, as the name suggests, latte art is their specialty. Generally, drinks come with classic designs like a heart or swan. But they’ll also use a stencil or hand draw something more unique like your pet, words or even characters like Harry Potter with chocolate or cocoa upon request. Latte Art Love also carries a selection of pastries from Kruse’s Baked Goods.